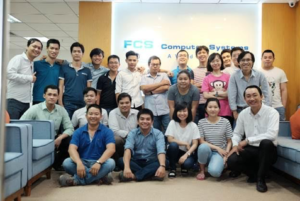 Ho Chi Minh City, Vietnam 6 February, 2017 – FCS Computer Systems (FCS), a leading comprehensive hospitality solutions and services provider, has announced the opening of its newest office location in Ho Chi Minh City, Vietnam. Situated at 46 Dach Bang 2 Street on the first floor of the Kicotrans building, the new office will be tasked with supplying regional hospitality professionals with industry leading solutions designed to streamline backend operations and maximize guest satisfaction. 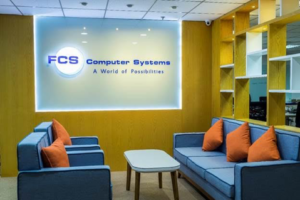 FCS customers visiting the office in Ho Chi Minh’s Tan Binh District will be greeted with a modern and stylish office setting, complete with an inviting welcome area and sales room. Once there, visitors can learn about how each FCS solution fits into the overall objective of streamlining services and increasing revenue. FCS’ hospitality operations management suite for instance, consisting of e-Housekeeping, e-Engineering, e-Connect, e-Concierge, e-Recovery and e-Laundry, are each renowned for their ability to enhance a multitude of back-of-house operations and guest-facing service needs; from housekeeping management to maintenance requests or real time guest requests and complaints. Able to seamlessly integrate with a hotel’s PMS system and remotely accessible via personal mobile devices, each solution also ensures that staff have all the necessary information needed to complete tasks effectively and in the most professional manner possible. To contact FCS’ Vietnam office for more information or to schedule an appointment, please phone: +84.8.3848.8298 or email: sales.vnfcs@planet1world.com. Founded in 1982, FCS is a comprehensive hospitality technology solutions and services provider, with an extensive portfolio of integrated products used by more than 5,000 hotels with over 8,000 installations in 32 countries. FCS mobile applications are available on staff mobile devices, providing enhanced efficiency with the ability to assign, view and update tasks on the go. This functionality seamlessly integrates into six web-based guest serving applications that are grouped into FCS’ Hospitality Operations Management category, including e-Connect, e-Housekeeping, e-Laundry, e-Recovery, e-Engineering and e-Concierge; all specifically tailored to enhance service optimization and the guest experience. These applications can integrate with a hotel’s PMS and other third-party systems via FCS Gateways products; Unicorn and Phoenix, or can seamlessly function alongside CosmoPMS, FCS’ own innovative PMS solution. With FCS Enterprise Reporting, hoteliers can maximize both revenues and property reputation with streamlined access to business analytics and operations performance intelligence. For more information, please visit http://www.fcscs.com.